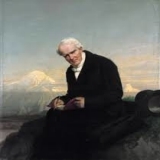 Alexander Von Humboldt’s ideas, findings and writings influenced several of the greatest scientists, naturalists, politicians and artists of his time. Yet he is hardly recognized outside of the academic community today. Andrea Wulf, through her book, aims to reclaim Humboldt for the world as now is the time we need to recognize the significance of his study of the Universe as an intricately connected whole. Knappily brings the story of the last polymath. What brings Humboldt in news? Andrea Wulf’s book The Invention of Nature has won the Royal Society’s science book prize. 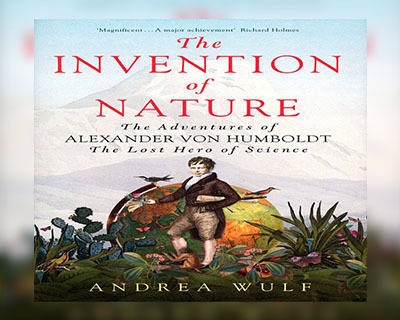 It is the life story of Alexander von Humboldt, a passionate naturalist and explorer who presented an entirely new way of understanding the universe. He constantly exerted his body and undertook the most arduous of travels; unmindful of pain, disease and starvation in his quest for knowledge. Known as the most famous scientist of his age, he was unconventional in thought, action and vision. This also made him a man ahead of his time. Wulf aims to reconstruct the image of this rare visionary who drew inspiration from science and nature and presented to the world a captivating universe in all its glory. Wulf says the purpose of her book is to make the world remember and admire a man whose ideas and writings influenced a plethora of experts over various fields and revealed to us the magical phenomenon by which the activities of the smallest, insignificant life could have a multifold influence on the Universe. Why was Humboldt a scientific traveler? For Humboldt, travel was a way to train – through observation, measurement and study. 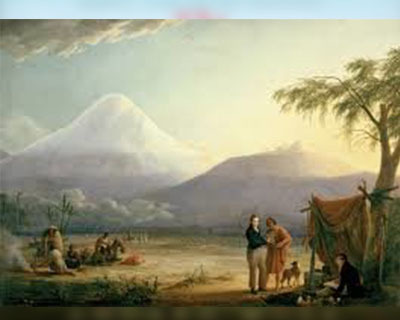 Humboldt desired to visit South America to traverse new horizons and form a connection between the life and environment there.His pursuit was scientific; it differed from previous pursuits by other explorers which had been undertaken with commercial objectives in mind. 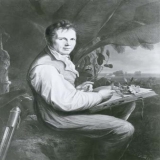 Humboldt took a wide range of the most advanced instruments available for his famous travels.He was obsessed with measuring everything - atmospheric temperature and pressure, ocean temperature and currents, terrestrial magnetism, humidity and other climactic conditions. Wulf describes how even as Humboldt and his team mates climbed the perilous Chimborazo mountain – a life-threatening risk – without appropriate protection, he fumbled out his few instruments - a barometer, a thermometer, a sextant, an artificial horizon and a so-called "cyanometer" with which he could measure the "blueness" of the sky – to measure altitude, gravity and humidity. His phenomenal memory and compulsion to record every noticeable activity enabled him to compile a wealth of information. His quest for knowledge and desire to experiment threw him into dangerous experiments such as testing electric eels (and in the process drowning two horses and receiving the shock from an active eel). When did history capture Humboldt as a humanist? Humboldt cared for the welfare of humans and the well-being of nature. Humboldt, when he acquired a diploma from the Freiberg School of Mines, was appointed as a mine inspector in Bayreuth and the Fichtel Mountains, a job he excelled at. Apart from professional excellence, he also showed solicitude for the well-being of the mine workers. He opened a free school for miners and bore the expenses, and he also sought to establish an emergency relief fund for miners, following accidents. 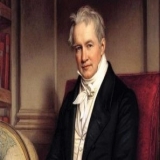 Humboldt is said to have spoken out strongly against colonialism, based on his experience from his Latin American expedition; he criticized the disruption of balance between people living in the pre-colonial time and their environment, and the poverty brought about by Spanish colonial rule. He was very vocal in his criticism, even though his expedition had been financed by the Spanish king. He also strongly supported the abolition of slavery and said this – and not mere improvement in the conditions of slaves – would be a constructive first step by the colonial administrations. He believed in sharing – for him, sharing scientific ideas and data had no barriers; such sharing brought about collective progress. Be it with scientists or with common people, Humboldt shared his findings and ideas.He was instrumental in setting up an international collaboration to discover the source of magnetic storms. 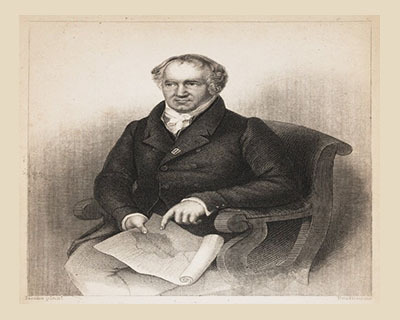 The enormous amount of data collected enabled English geophysicist Sir Edward Sabine to correlate magnetic storms in the atmosphere with periodically changing activity of sunspots. His book Kosmos, public lectures and organization of one of the first international scientific conferences in Berlin despite government’s resistance are some highlights of his constant efforts to share and popularize science. Even in times of near abject poverty, he is said to have provided assistance – monetary and influential contacts – to struggling scientists. Where do we witness his legacy? 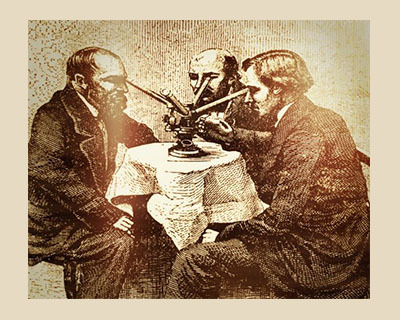 Humboldt’s expertise spanned over a vast area as he sought to connect various disciplines that were considered widely different. 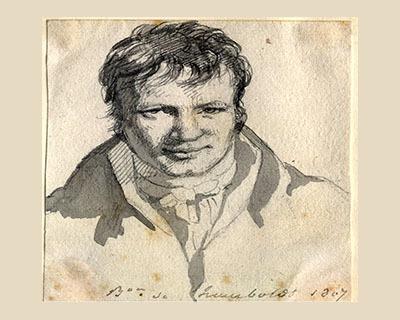 Apart from the overall understanding of the universe as one fantastic yet fragile entity, Humboldt’s exemplary knowledge and brilliance in several fields spurred breakthroughs by the next generation of revolutionaries in several of them. He identified the basic principles of plant distribution over different areas. This played a seminal role in the foundation for biogeography – the study of how ecosystems can be related to place of occurrence and through time. Note: Biogeography is concerned with variations in distribution of plants and the factors responsible. Biogeography investigates the historical and current causes for plant and animal distributions as seen today.It integrates physical geography, geology, botany and plant biology, zoology, and general biology among other fields. 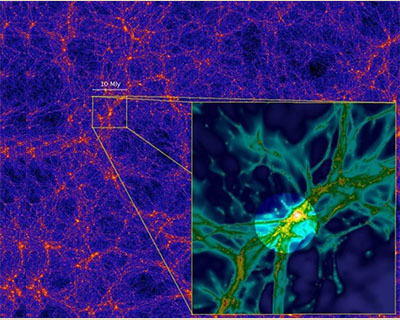 It utilizes technological advancements such as satellite imaging to obtain detailed observations of distribution of vegetation on a global scale. It reveals the influence of the environment on the characteristics and types of species found in it. 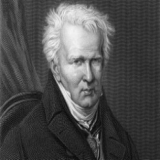 Initial theories on marine sciences emerged from Humboldt’s research on ocean currents and how they affected climate. His detailed accounts of the Gulf Stream and Peru Current (also known as Humboldt Current) are admired as masterpieces of oceanographic literature and gave tremendous impetus to scientific research. 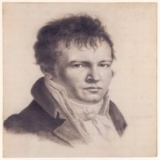 The comparative analyses Humboldt employed led him to look at the bigger picture while not losing sight of the minutest of detail.He introduced the concept of ecosystems, invented isotherms and isobars – lines on maps connecting regions with the same temperature and pressure respectively. He gave one of the earlier blows to the theory that continents were formed at different times. 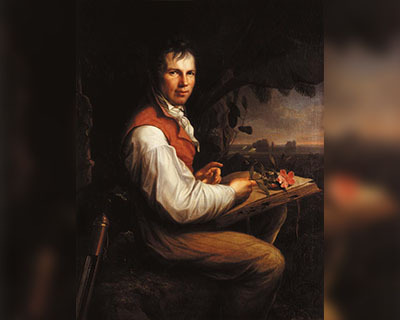 The first to relate the presence of forests to a cooling effect on climate, he was also the first to warn of the perils of deforestation.At a time when the widely-held belief was nature catered to man, Humboldt took a radical stand. He asserted that unchecked human manipulation of nature would bring about devastation. His ability to unearth relationships between entities led him to foresee repercussions such as human-induced climate change. It is said “Not until Rachel Carson (1907­-1964) did another scientist incorporate human survival firmly within the environment instead of viewing it on or above it”. Known as “the Shakespeare of the sciences” by his peers, the ideas expressed by Humboldt through his writings form the basis for environmentalist, ecologist and nature writers though they may not even be aware of it, says Wulf. Today his name is everywhere, yet he is not known to many in the English speaking world. At least twenty towns, two lakes, one bay, one river, five mountains, and one university in the West were given Humboldt’s name, according to Eagle Hill institute. A crater on the moon was named after him, as was a plain (Mare Humboldtianum), an asteroid (Alexandra 54) as were about a hundred animal species and three hundred plant species, according to Nathaniel Rich, novelist. Who were some of the great thinkers – other than Darwin – he inspired? Henry David Thoreau, a naturalist writer famous for his book Walden that glorified simple living and self-sufficiency in natural surroundings, greatly admired Humboldt’s “eye for detail”. Maria Mitchell, the astronomer and educator, who met Humboldt weeks before his death observed, “no young aspirant in science ever left Humboldt’s presence uncheered”. His ideas resonated with her emphasis on treating science not only as mathematics and logics but also a form of beauty and poetry. Other scientists and naturalists inspired by him include John Muir, George Perkins Marsh, Ernst Haeckel, Richard Schomburgk and Robert Schomburgk. Wordsworth, Jules Verne, Emerson, Aldous Huxley and Edgar Allen Poe are some of the famous writers said to have been deeply influenced by Humboldt. 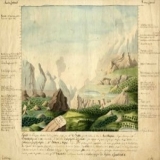 Artists were motivated to travel to the lands Humboldt had visited and stayed. They painted landscapes and common life activities. George Catlin and Frederic Edwin Church were among them. Simon Bolivar, military and political leader turned dictator hailed Humboldt as a writer who with his pen awakened Latin America.Thomas Jefferson was also a great admirer and friend of Humboldt. Mariano Eduardo de Rivero – pioneer of mining education in South America and the most notable Peruvian scientist of the 19th century – Louis Agassiz were directly aided by Humboldt in their endeavors. How is Humboldt’s message relevant today? Even though Humboldt is considered by some as the last polymath, he possessed and expressed all that was of relevance in his times and it is not possible to find someone with that ability in the twenty-first century – his core message to view the universe as a “web of life” in which each thread mattered is all the more relevant today. He aimed to evoke a sense of awe and reverence at nature’s creations. In our quest for progress, it is essential to bear in mind his message and abstain from abuse of natural wealth in order that we do not dig our own graves. The free exchange of knowledge he actively practiced and fostered has shaped remarkable, unprecedented progress in science. He might have been relegated to the background or even erased from narratives of pioneers due to the anti-German sentiment brought about by the World Wars, as Wulf says. But he needs to be reclaimed and honored for his inspiring vision and ideas that brought a paradigm shift in our interpretations of the Universe.